If you like these two photos, you are welcome to click on the Venice label to see some more. Photos look better in higher resolution - by clicking on any of them you will let them shine in all their glory. Since I have recently returned from Venice, Italy with a photo camera full of beautiful memories, I thought it would only be fair if I shared them with you. It really is hard to take a bad photo in Venice! Rather than publishing all of them at once, I will publish a series of more or less wordless posts about Venice in the next few days. Those of you who do not posses enough patience to wait that long, are welcome to browse among my previous posts about Venice. If that is still not enough, there are also some recent posts about the nearby town of Chioggia - also known as Little Venice. After some consideration I decided to post two photos a day for the next week. So let the Venice in photos week officially begin! I hope you like the first couple with Gondoliers waiting for customers in early morning hours. I am proud to present a promotional video about the town of Idrija and its surroundings. It is the part of Slovenia I call home. These valleys and hills have a lot to offer, but are still visited by very few foreign tourists and travelers. I hope this video will help turn things around. If you are after some off the beaten track tips about the area, you are always welcome to drop me a line. This year winter lingered around my home town in Slovenia quite a bit longer than we were used to. I guess it was due to a massive amount of snow we had. Higher temperatures with sun and quite a bit of rain in the last days took care of the last patches of snow in valleys around here. In surrounding mountains however, a few more weeks (or even months) will have to go by for all that snow to melt - there is still meters of snow above 1.000 meters of altitude in some parts of the country. I took a photo of these cute white flowers (snowdrops or Galanthus in Latin) behind my house a some days ago. It was just a few meters away from the place where I took a similar photo last year. They seem to grow on the same spot year after year when snow starts to melt. You can take a look at last year's snowdrops on the link. I wanted to make a comparison between the two photos - they were taken with two different cameras. The first photo (the one on the link) was taken with my old Olympus C-5060WZ just before I replaced it with the current Nikon D7000. There is an obvious difference in the resolution of the two original photos but that is not reflected on the blog. Please share your views and observations. Do you notice any difference between them? Is it really obvious? As a local who has also done his share of travelling, I can easily point out a few strong points of this little gem of a country every visitor should be looking forward to. Even more than just that - I can do it from a traveller's point of view. If you are a regular visitor of this blog, you have probably noticed I recently entered Big Blog Exchange competition (hosted by Hostelling International) and made it to 100 finalists from all over the world. If the jury recognizes Slovenia as an interesting enough travel destination, I will have the honor of exchanging places with another contestant from a yet unknown country. Only 16 lucky bloggers will have the chance to embark on this great adventure. I hope this list will also help tip the odds my way. For a country only the size of Wales, Slovenia packs a huge variety of landscapes. Country's landscape changes from snow caped Alpine peaks in the north, to Adriatic coast in the south-west and Pannonian Basin in the east, with endless, green rolling hills in the middle. The best part of this is you can get from the Alps to the Adriatic sea in a couple of hours and even make a short stop at a fairytale-like lake on your way there. If diversity of landscape is not enough for you, there is also a whole different world hidden underground (some of the natural cave systems go on for over 20 kilometers). Alongside with landscape food also changes from one part of the country to another. Near the northern border there is a strong Germanic influence and in the west Italian and Mediterranean cuisine is well represented. There is a similar situation in eastern (Hungarian influence) and southern regions. Those endless rolling hills mentioned before make a perfect setting for three main wine producing regions: Littoral, Lower Sava Valley and Drava Valley. Although low production capacities are keeping most Slovenian winemakers away from the World scene, there are some real gems among them. Slovenia's location is one of its strong-points but at the same time takes its toll on the number of visitors. It is definitely conveniently located next to higher ranking tourist countries like Italy, Austria and also emerging Croatia. Sadly instead of including Slovenia into their itineraries tourists tend to rather spend more time in nearby Italy and Croatia. The best case scenario includes a short three-day visit to Slovenia. In my opinion Slovenia can serve as a perfect base for an European adventure - when (if at all) one gets tired of it, there are always places like Venice and Vienna just a short drive away. Due to its location and a quite turbulent past, there are many fascinating historical sites in Slovenia. They range from prehistoric (the oldest musical instrument in Europe was recently discovered here), Roman, medieval (picturesque castles), WWI (one of the bloodiest battles was fought in the west of the country) to WWII (many remains of partisan activities) and beyond. Despite its location in the very heart of Europe there are still many nicely preserved regions where a traveller can be one with nature. Over half of the country is covered with forests where many rare animals can still be observed in their natural habitat. A true paradise for nature lovers! You can try swimming in many Alpine lakes and rivers so clear they will make your head spin. It is no wonder a fairytale movie spectacle like The Chronicles of Narnia was filmed in the Soča river valley. You can also find some unique fishing and adrenaline sports opportunities there - usually for a fraction of a price you would pay in a neighboring country. Even though prices have gone up since embracing the Euro, Slovenia is still very affordable compared to its neighbors. I am sure with growing tourism, prices will only rise with time. This is usually an irreversible process, so visiting as soon as possible is the right thing to do. 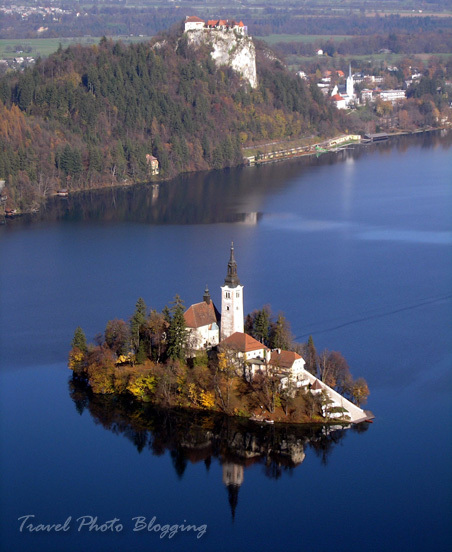 Even though it is not unknown, I think it is fair to say Slovenia is still relatively undiscovered. This however is changing fast. With growing media attention more and more visitors are finding it on the tourist map. This might be good for the economy but seeing crowds of tourists around every corner is not a very desirable thing for a traveller. Luckily at this moment finding a place for yourself is pretty easy to do - even though it is a small country. Visitors to the country are usually surprised to find friendly locals always ready to help them out. I guess this has something to do with the fact people are not tired of tourists yet. There are not all that many... yet. If you are approached by a local it does not mean he wants something from you - he probably just wants to offer help. Having one of the lowest crime rates in Europe should also say something. This does not mean a traveller should be totally careless in Slovenia but probably there is no need to be more careful than at home. Last but definitely not least - there is a good chance you will not have any problems communicating while in Slovenia. I find this to be quite important when trying to learn more about a local culture. Most locals speak at least a second language apart from Slovenian. English, Serbian, Croatian, Italian and German are widely spoken. If you do find a person who does not speak any English, there is a very good chance he (or she) has a friend or a relative nearby who does. Despite all this, it always helps if you show a little effort and learn a word or two in local language. It just might help you get to the other side of that door that usually stays closed. I believe Slovenia is a perfect destination for a first time visitor to Europe. It offers a perfect taste of Europe - a little bite of every neighboring country, usually with some local seasoning. Since it is pretty easy to navigate and laid-back it can serve as an introduction to more hectic places (e.g. Rome or Athens). Slovenia can make a prefect start to your European adventure! How about you, my trustful reader - have you ever been to Slovenia? Did you like it? What do you think of the above list? Please leave a comment. I would really love to hear from you. This Lion of Saint Mark (also known as the winged lion of Venice) - a symbol of the Republic of Venice is guarding one of the entrances into the town of Chioggia. Even today the lion can still be seen all over the Mediterranean. As you have probably noticed by now, there is a Big Blog Exchange competition going on at the moment. Actually it will end in just a few hours (12pm GMT), which means you still have a chance to vote for me. I have to take this opportunity to thank you all for voting for me. Thanks to you - my trusty readers, it looks like I will be ranked within the top 100 bloggers from all over the World - I am at #64 at the moment. Everyone from the top 100 will have a chance to actually become one of the lucky 16 travel bloggers and exchange countries for 10 days. It is all in the hands of organizers of the competition from here on - Hostelling International. You still can help me get a better ranking in these last few hours of the competition. To give me your vote, you can find all the information in my post about the Big Blog Exchange competition. Thank you all, again! As I mentioned few posts ago, the cute little Italian port town of Chioggia might seem a bit empty and uneventful at the first glance. There is a very good chance you will also see it like that if you arrive directly from its usually overcrowded neighbor - Venice. When I was there I started appreciating that relaxed feel to it soon enough. The pedestrian only town center (mainly Corso del Popolo) was quite busy even during early afternoon hours but other parts of town were pretty empty. Moments after sunset I noticed an obvious change. Cars started queuing at the old city center entrance and everybody seemed to be heading for the streets. All cafes were full in a blink of an eye and everybody was waiting for a glass of obviously very popular Aperol Spritz. If you are not familiar with it Aperol is a bitter, bright orange alcoholic drink, somewhat similar to Campari. They mix it with prosecco (sweet) wine, champagne or sometimes even some soda to get a fresh sparkling effect. It is usually served with a couple of ice cubes and a slice of orange. I could not figure out if this drink popularity was a seasonal thing or it had something to do with the Veneto region or perhaps it was just another trendy thing. I can only wonder how late into night this thing lasted, but the crowd looked like it was still warming up when we left the scene. At first this seemed a bit strange since it was Sunday evening but then I remembered Monday in Italy is the day of the week when most of places stay closed or at least have a late start. There are a few reasons for visiting the cute little Italian fishing port of Chioggia on a Sunday. The first one I already mentioned in one of my previous posts and has something to do with museum opening hours - the old clock tower with a clock museum is only opened on Sundays and holidays. The second reason is the flee market taking place on Corso del Popolo. At the first look the flee market seemed like an unattractive pile of junk - many piles of junk to be exact. Since I am usually not interested in those kind of items, it took me a while to actually stop at one of the stands. After a closer inspection I realized there were actually a few interesting items for sale. A potential buyer could browse among various coins, cheap jewelery, old LP records, African masks, wooden and ceramic decorations and much more. Some vendors were offering local items but also many things on display were (probably) of eastern origin, like for instance some old Soviet Union army gas masks and helmets. Quite a few things had a cheap, made-in-China feel to them but obviously everything was not junk. Either that, or people had no idea what they were looking at and buying. I must say people were showing quite some interest in the displayed goods. If you are thinking I should have simply bought both of them, you must definitely plan your visit on a Sunday and check out the market yourself. If you are a regular visitor of this blog you have probably noticed, I took some nice photos during my day in a charming Italian town of Chioggia (click the link to check out my other posts about it). Also if you are not a follower yet, you are very welcome to become one - just choose your favorite platform through which you wish to stay in touch and you will be reminded of my new posts. This time I decided to publish a few more photos of this lovely fishing port and add a little twist to them. Welcome to Chioggia in Vintage Style! I hope you like the photos. You should click on the photos to enjoy them in larger resolution. I would love to hear your feedback on which one you like best and I also appreciate some constructive criticism. The town of Chioggia or Little Venice, as it is often referred to, is a small fishing port 50 kilometers from Venice. As a more popular neighbor, Venice takes larger share of tourists and obviously at some times also gets way too crowded. Even though Chioggia can hardly compete with Venice, it makes a great base to explore the nearby famous world class attractions and can be a convenient getaway from the crowds. During our last visit to the area M. and I stayed at a nice and affordable Bed&Breakfast between the two and spent a day exploring each. Venice frankly deserves more attention, but since we have visited it quite a few times before, we were also happy to discover something interesting nearby. Obviously we chose Chioggia. If you are planning a stay around these parts, are looking for an affordable place to spend a night and are travelling by a car you should check out Alloggi Balabuska‏ (Via Romea, 8 Km 97 SS 309 I 35020 Codevigo). It is located by the main road (look for a blue colored house across from a gas station), so you shouldn't expect much of a view from your bedroom window. We stayed in a double room for EUR 35.00 per night without a breakfast. We usually do not care much about breakfasts when travelling around Italy since a typical Italian breakfast usually only includes a simple (not too tasty) croissant with a cup of coffee. We prefer to find some local cheese or a piece of pizza by ourselves. With a couple of canals and colorful Venetian style buildings next to them, Chioggia really looks like a miniature version of Venice. It might look a bit run down and somewhat neglected, but definitely has some charm of its own. There is not all that much to see in the old town - apart from many cute little piazzas, bridges and random colorful old buildings (click on Chioggia label to see some more color). There is however an interesting clock tower with a clock museum on Corso del Popolo. Supposedly it is the second oldest tower clock in the world. Besides the clock mechanism there is also a great view you can admire from the top for a small fee. You should keep in mind it can only be visited on Sundays and holidays. There is also the Duomo (cathedral), situated at the opposite end of Corso del Popolo from the port. It became a cathedral in 1110 but was rebuilt in 1623. Today it houses some great 16th century paintings and various 17th century sculptures by Bartolomeo Cavalieri. If you are an early bird you can observe fisherman bringing in catch in the early morning hours. There is also a large fish market set up every weekday morning worth checking out. When you check out all of the above, there is always Corso del Popolo, where you can take a relaxed stroll through the historic center, do some shopping or simply enjoy a drink at an outdoor table and watch people walk by. As it is a fishing port you can find many great options for an excellent seafood meal there. You can get it for a much more affordable price compared to Venice - in fact much of local daily catch ends up on Venetian menus. It is hard to eat bad seafood in Chioggia but as everywhere else, also here some places are better than others. From what I have seen Osteria da Nicola on Fondamenta S. Domenico 874 by the San Domenico Canal offers top quality and is also not too expensive. Main dishes start at around EUR 12. If you are a regular visitor of this blog you have probably noticed I have been raving about these charming mountain huts in Italian Dolomites over the last few posts. Of the things that definitely add up to the charm of these rifugios, various details and decorations are amongst the more obvious. Obviously these decorations are authentic and usually prepared in just the right style to fit the overall image. There is no place for cheap plastic chairs and tables in an environment like that. Instead products made of local wood can be seen everywhere. It seems traditional wood crafting is still very much alive in the Dolomites area. I am very glad they are keeping very high standards even when building new such huts in this beautiful environment. I hope they keep it up for ever.